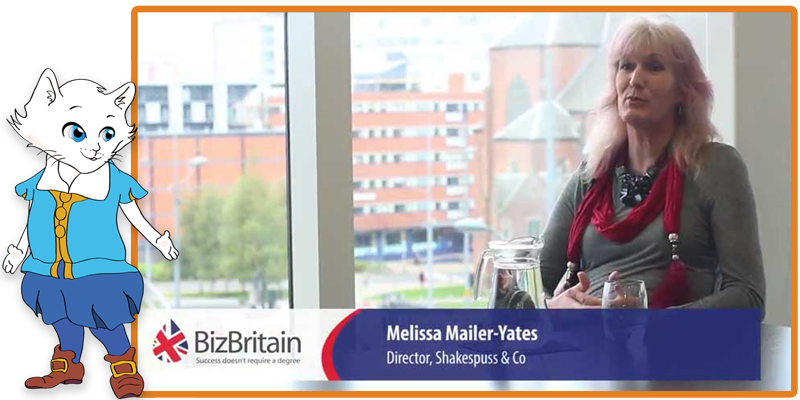 This is a filmed interview with Melissa during the early days of funding for the Company, although there are elements of the structure that have since changed, the core is still exactly the same. .
Shakespuss & Co Ltd actually became the 20,000th recipient of a new government initiative, and subsequently both Sky and the BBC aired news-piece interviews a couple of years ago.